The books of reference used for this study of the book of Genesis were the Bible, King James Version, called "The Companion Bible", Publisher Kregel; Strong's Exhaustive Concordance of the Bible, numbered to the Hebrew, Chaldee, and Greek, and English, coded to the Strong's Concordance numbers. "The Generations of the Sons of Noah." "The Covenant Made, The Seed and The Land." "The Birth of Ishmael to Abram, by Hagar." "The Covenant Repeated, and Sarah's blessing." "Esau and Jacob, Birthright Passed on to Jacob." 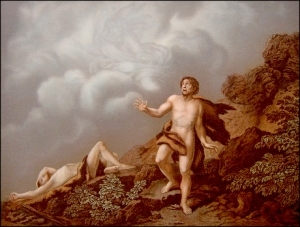 "Jacob Sent to Padan-aram, To Take a Wife." "Blessings to Joseph and his Sons."